(March 23 – March 25, 2012) During a three-day weekend getaway to celebrate the end of the cold winter, students, friends and staff from easyMandarin scaled Mount Qiyun (Chinese: 齐云山, pinyin: “Qíyūn Shān” in pinyin, literally “As High as the Clouds”) located 5 hours from Shanghai in China’s Anhui Province. The group lucked out with perfect weather over the weekend to top off the great adventure full of fun activities. 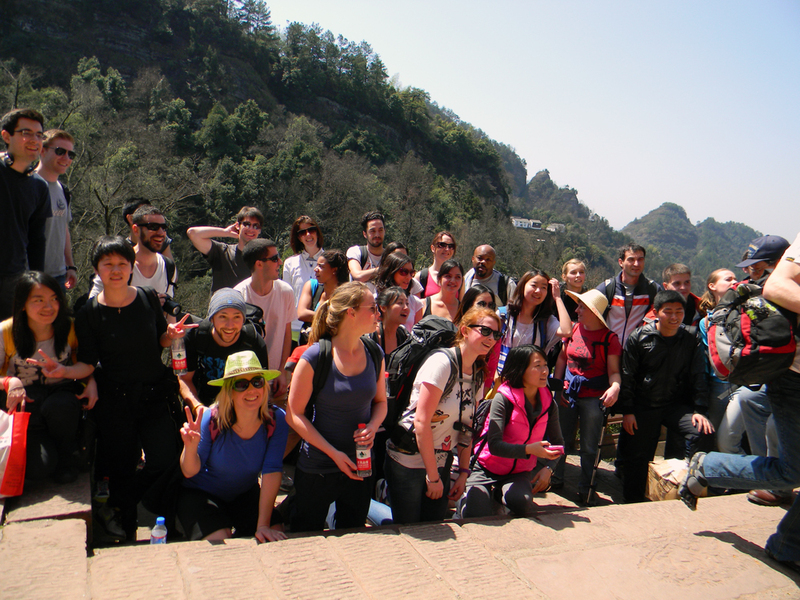 For pictures of the trip please click here – easyMandarin Ascends Mount Qiyun. easyMandarin, also known as “Easy Mandarin” or “eM”, is one of China’s leading Chinese schools. The school was established in the year 2006 and since then has taught Mandarin to thousands of individuals from more than 60 countries, including overseas students, interns, CEOs, heads of NGOs, consulate generals, and people just visiting China to experience the language and culture. eM is based in Shanghai, China and is internationally accredited by CSN.